The Global Powers of Retailing report identifies the 250 largest retailers around the world for the past fiscal year- but it is much more than a list. It also examines trends for retailers to consider as they plan their growth strategies; provides a global economic outlook for retail; and discusses “Q” ratio – a way of drawing inferences about the future performance of retailers based on current financial information. This year’s report includes two exciting features. Its section on “Retail Beyond” takes a provocative look at how existing technologies could conceivably converge and further transform the already complex relationship between retailers and consumers. And, for the first time ever, the report includes a list and analysis of the world’s top 50 e-retailers. 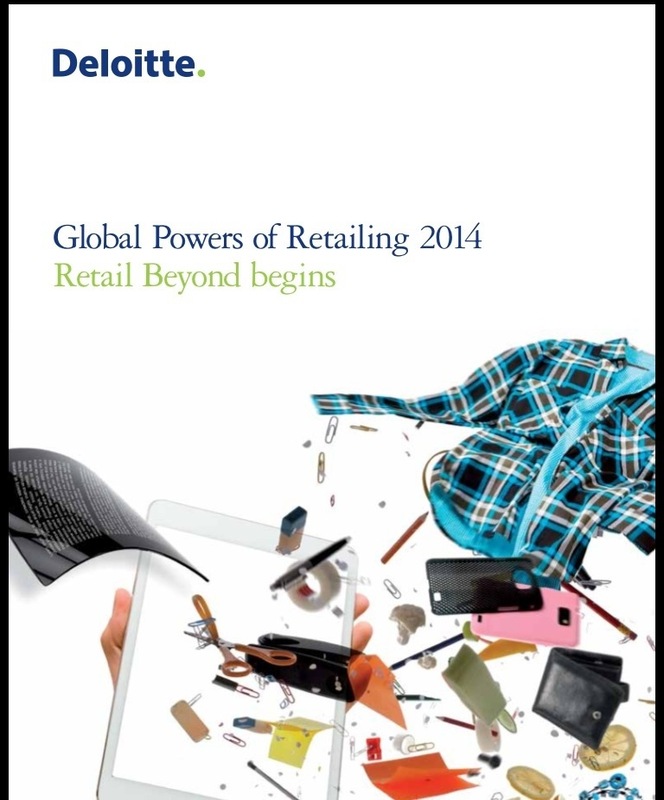 Posted on February 13, 2014, in #international, #retail. Bookmark the permalink. Leave a comment.